As an IT administrator, lab or network manager, you need to access and control multiple computer systems and servers, perhaps widely dispersed, for routine maintenance as well as for real-time troubleshooting and repair. The remote server management tool you want to use must enable ...read more. 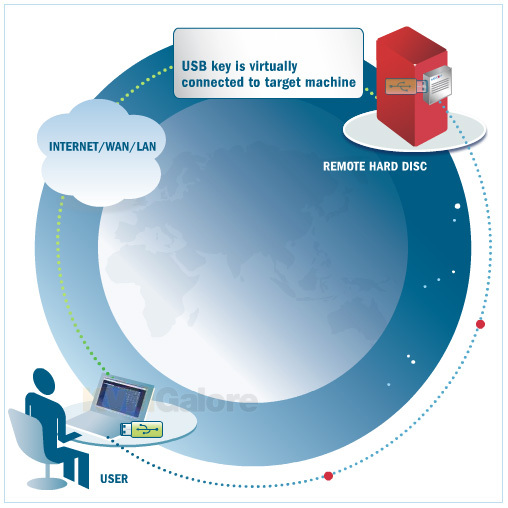 Virtual Media allows a server to access storage media such as CD-ROMs, flash memory and external drives anywhere on the network–just as if they were directly attached to that server's USB port. This allows technicians to quickly and easily move and copy data between the storage media ...read more.